An Obama administration official on Wednesday suggested that members of Army Sgt. 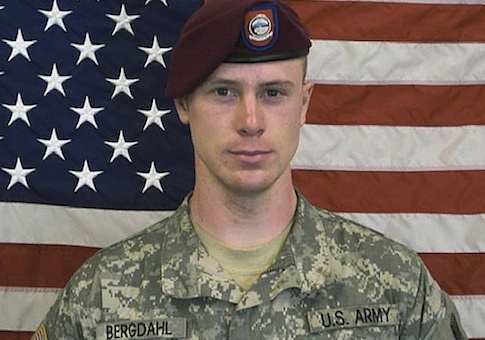 Bowe Bergdahl’s platoon who have criticized him for allegedly deserting his unit might be "psychopaths," the Right Scoop reports. 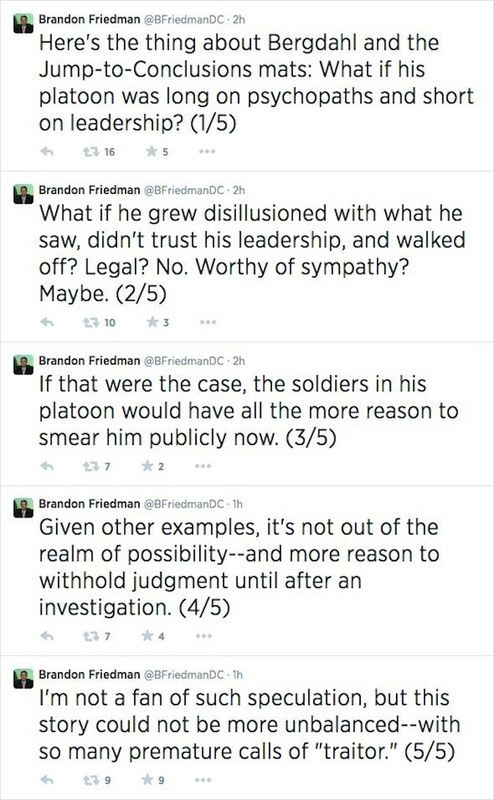 Brandon Friedman, the deputy assistant secretary of public affairs at the Department of Housing and Urban Development, floated the possibility that Bergdahl’s squadmates are "smear[ing] him publicly" because he "grew disillusioned with what he saw, didn't trust his leadership, and walked off." "What if his platoon was long on psychopaths and short on leadership?" Friedman asked in the first of five tweets on the issue on Wednesday evening. This entry was posted in National Security and tagged Obama Administration. Bookmark the permalink.